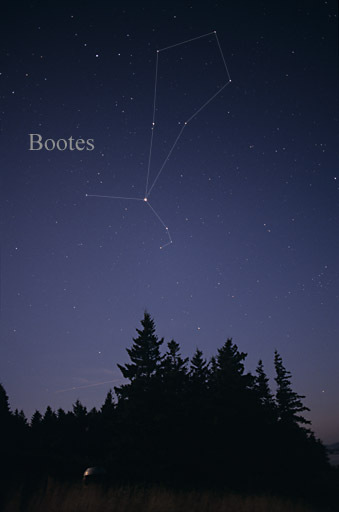 Boötes is a bright and distinct northern constellation that is one of the 48 constellations cataloged by 2nd century astronomer Ptolemy. It can be found by looking south of Draco, lying between Hercules and Ursa Major. It is also found by following the curve of the Big Dipper’s handle southward and away from the bowl to the bright star Arcturus. Sometimes the phrase “arc to Arcturus” is used to describe this approach to locating it. 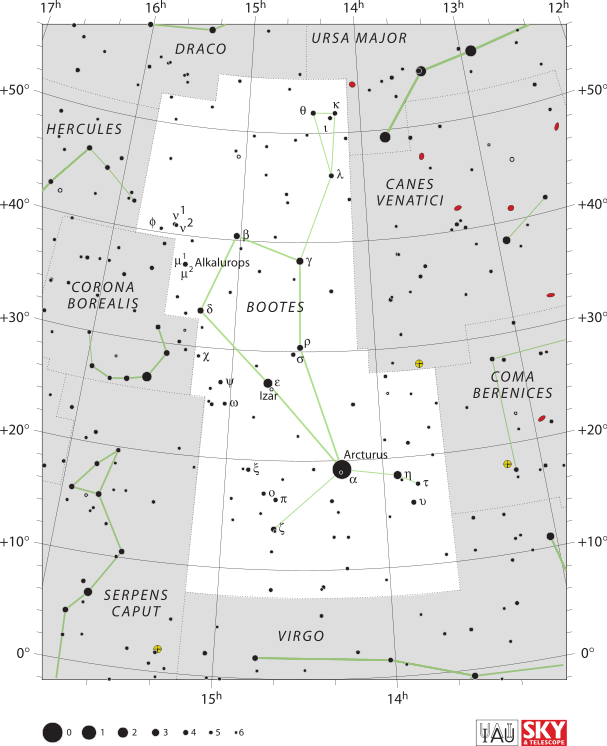 Boötes reaches its highest nightfall ascension in June. 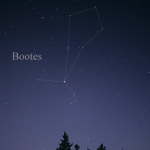 Arcturus is the fourth brightest star in the night sky, and Boötes is home to many other bright stars, including eight above the fourth magnitude and an additional 21 above the fifth magnitude, making a total of 29 stars easily visible to the naked eye. There are no Messier objects located in Boötes, but several NGC galaxies can be found with a telescope. The radiant of the Quadrantids meteor shower, which displays about 100 meteors per hour when it peaks over January 3rd and 4th, is located between Bootes’ head and the end of Ursa Major’s tail. IAU Bootes chart, IAU and Sky & Telescope magazine (Roger Sinnott and Rick Fienberg), June 4, 2011.